It is kind of annoying to spend 2-3 hours on painting your nails and see your nail polish cleared and cracked the very next day. These tips are exactly for those who like ordinary nail polishes and not gel coatings. Scroll down and find out what you need to do and what you need to avoid doing if you want to have beautiful and fresh nails. If you buy a cheap nail polish, forget about perfect manicure because your nail polish will hardly last as long as you expect. A cheap nail polish doesn't last more than one day. However, this does not mean you should use elite nail polishes. Instead, choose nail polishes that professionals use. Besides, you can listen to your friends' advice and read women's forums. Have you ever seen a master do a manicure at a speed just perfect for The Guinness Book of Records? Of course, you have not! Therefore, you shouldn't rush either. Manicure is a home spa procedure and meditation. Your patience will ensure your perfect manicure. Manicure masters generally soften the cuticles in a small bath. But this is fundamentally wrong! Because of this procedure, the nail polish is poorly fixed. There are special products that work best for the cuticles. It's a myth that nail polish is fixed better on polished nails. 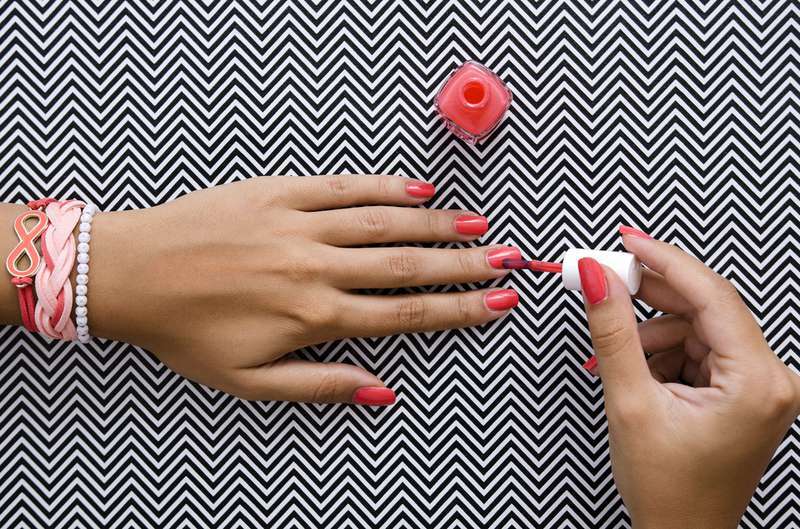 Your nail polish removes more easily if your nails are smooth. 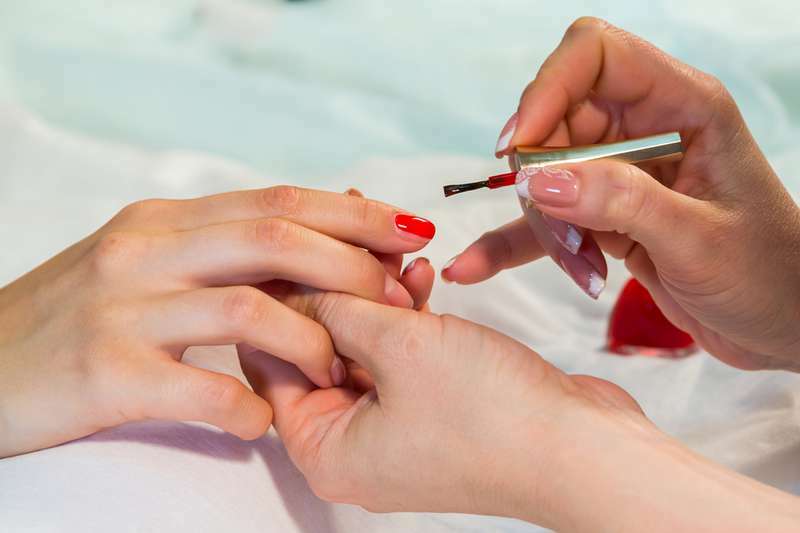 Before applying your nail polish, you should use an antiseptic or salicylic alcohol instead of a nail polish remover. If you have nothing at hand, you can simply wash your hands with soap. Though applying a base is not mandatory, it definitely affects the longevity of the coating! If your nails are problematic, select a remedy with calcium and fucus. It will heal your damaged nails. Instead of shaking your nail polish bottle, you'd better roll it between your palms. 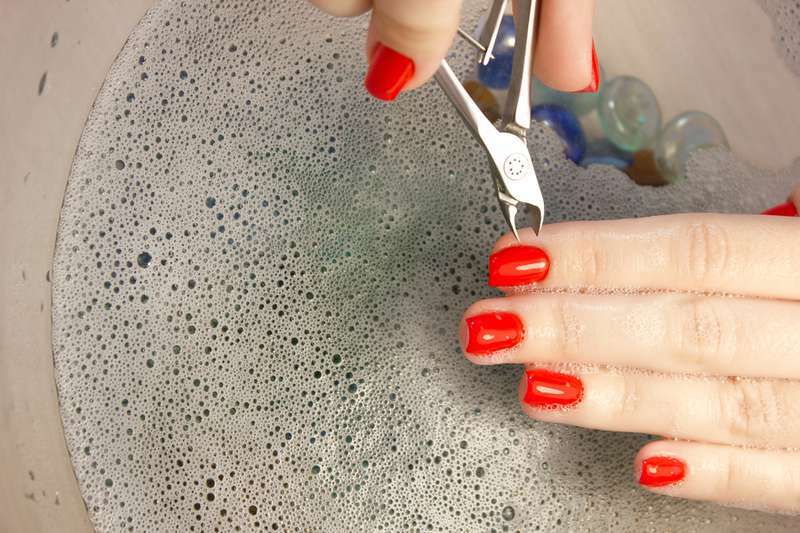 This will prevent your nail polish from bubbling. Don't hope for a good result if you apply only one layer of nail polish. Thick brush strokes dry longer and flake off your fingernails. After applying the first layer, you need to let it dry for 10 minutes. If you have applied the second layer before the first one has dried up, you should remove the nail polish and start over. A quality topcoat will make even the cheapest nail polish last longer. You'd better not save money when buying a top nail polish. As an alternative, you can use a usual colorless varnish. This is a professional trick you should not forget. Fix the edges of your fingernails with a coating. Important: You should apply 4 layers of nail polish: a base, two layers of nail polish and a top coating. This is the formula of durability. A hair dryer will only make things worse. You should let your nail polish dry naturally. 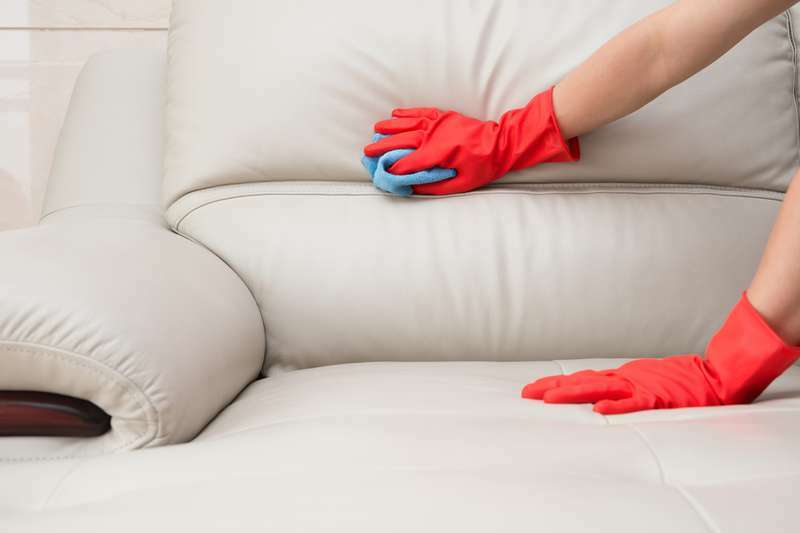 Use rubber gloves when doing housework. Household chemicals and hot water are the first enemies of nail polishes. If you want your coating to last longer, you should refresh the top coating once in two days. It's far easier than painting the peeled areas. And your manicure will look as fresh as ever! Water is the most dangerous enemy of your nail polish. 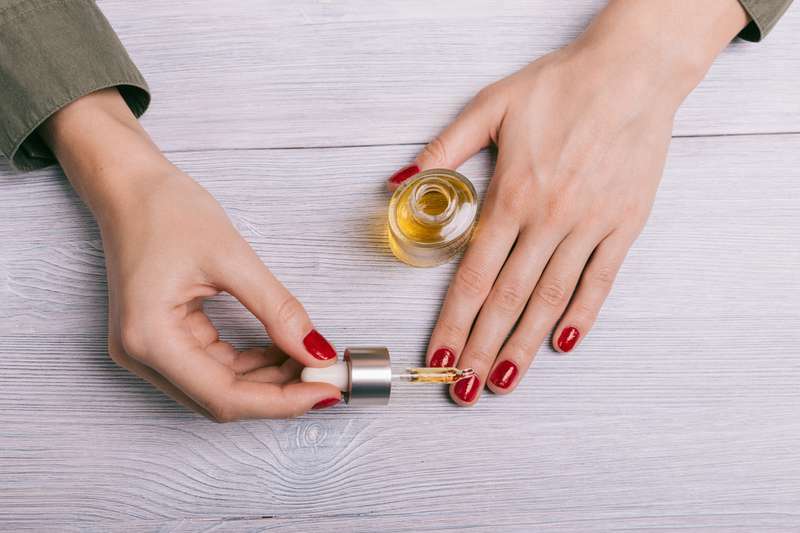 Therefore, you should lubricate your nails with oil before taking a shower. It might seem that the oil is immediately washed off, but the fatty layer still remains on your nails and protects them from water. Shine, both figuratively and literally! Glitter is a distracting maneuver when you need to cover a defect. 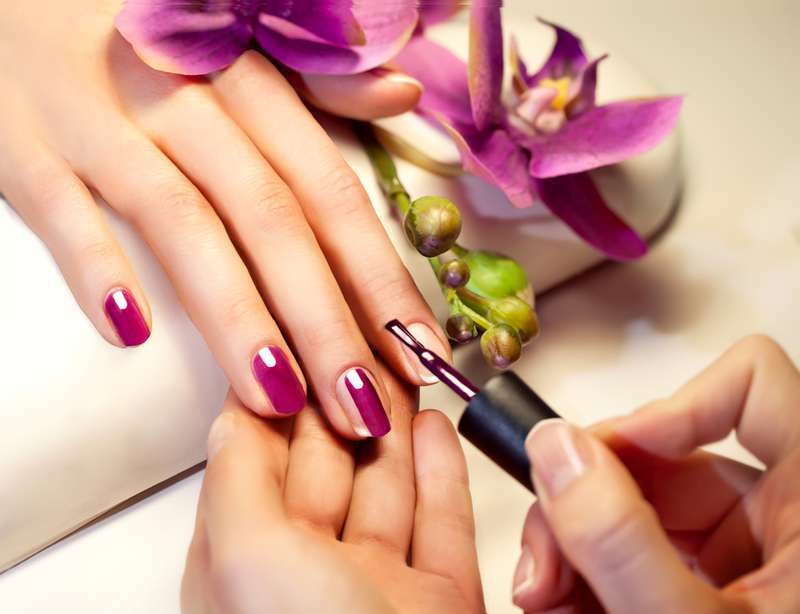 Follow these tips and boast of your perfect manicure!